You’ve made one awkward step and OUCH, you’ve twisted your ankle! In some cases you can shake it off without injury, while other times you’re reduced to hobbling around on one foot, or even worse. Though some ankle sprains are sports related, others happen when you’re walking down the stairs, getting out of your car or simply getting out of a chair too quickly. 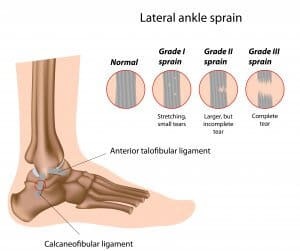 Ankle sprains are a ligament injury and can be incredibly painful. Some injuries take up to 4-6 weeks to heal and others may require surgery. Treating an ankle sprain properly is important for the short and long-term effects of any ankle injury. 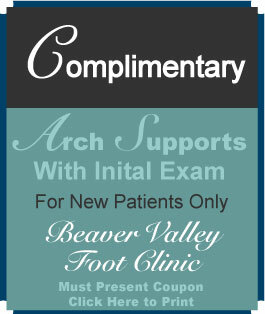 This month, Beaver Valley Foot Clinic’s Dr. Christina Teimouri shares her insight and expert advice on the variations of a sprain, how to treat them and how to prevent them from happening again. Grade 1. This is a mild sprain where ligaments slightly stretch. The ankle is a bit sore and a small amount of swelling may be present. Grade 2. This is a moderate sprain where the ligaments are partially torn making the ankle joint feel loose. Putting weight on the ankle may be painful and the ankle will remain swollen for quite some time. Grade 3. This is the most severe sprain because the ligament is completely torn. The injury to the joint is very painful and a large amount of swelling is present. The ankle will feel wobbly and a bit detached. It’s highly unlikely you’ll be able to put any sort of weight on your ankle. How Can I Treat My Ankle Sprain? Treatment will depend on the grade of the sprain and may require further direction from a podiatrist. If you’ve suffered a sprain, he or she will likely tell you to follow the R.I.C.E. Method. Rest. As with any injury or illness, rest is best. Keep off your ankle and put as little weight on it as possible. Ice. For the first 48 hours, wrap the ankle with a bag of ice in a towel or a cold compress. After Day 3, space this out to every 3-4 hours for 20 minutes. Compress. If your doctor places you in an elastic bandage or air-cast, be sure to follow their instructions and do not remove until they say so. Elevate. Take a seat and keep your leg elevated as much as you can. Elevation reduces swelling as will taking Ibuprofen or other non-steroidal anti-inflammatory drugs (NSAIDs) which will also help with the pain. It’s All About the Shoes. Buying a good pair of shoes is important and they should be tied securely when worn. If you play sports, be sure to buy high-tops or whatever shoe your trainer, coach or PE Teacher suggests. And while most woman love high-heeled shoes, it’s worth noting most ankle sprains are a result of wearing them. Stretch. Always stretch and warm up prior to physical activity, especially if you’ve experienced injury in the past. 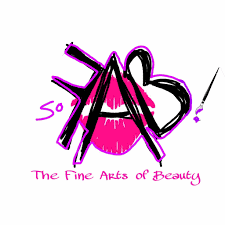 Beware of Uneven Surfaces. Whether you’ve taken to the trails or you’re walking in the city, pay attention to what’s below you. Watch your step for rocks or uneven and cracked surfaces. Tape your Ankle. If you’ve already suffered an injury, it’s a good idea to tape your ankle to give it that extra bit of support it needs. If you’ve ever experienced an ankle sprain you already know they are NO fun! You know your body best, if it doesn’t feel right it probably isn’t. 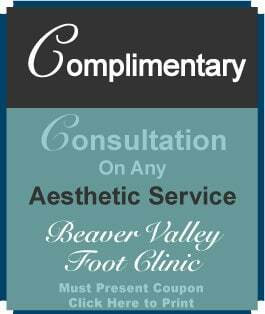 Call Beaver Valley Foot Clinic at (878) 313-FEET for all of your ankle and foot pain.